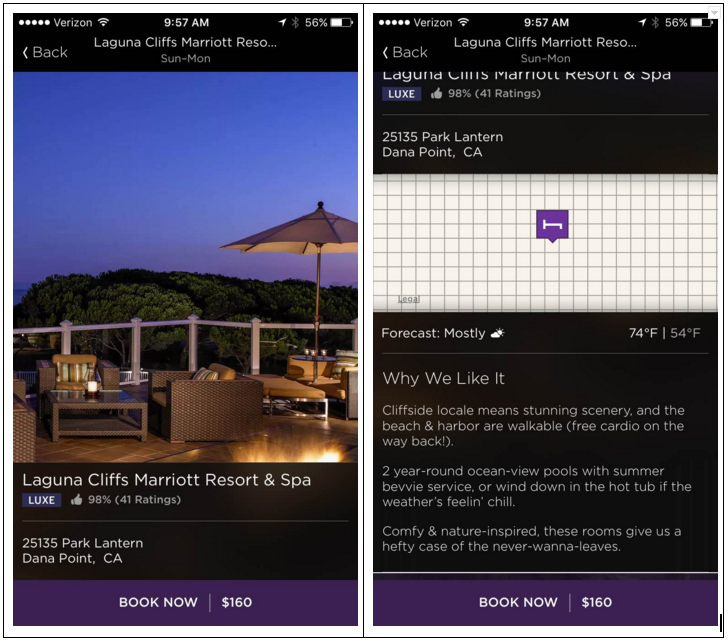 Mobile app onboarding is changing for the better. 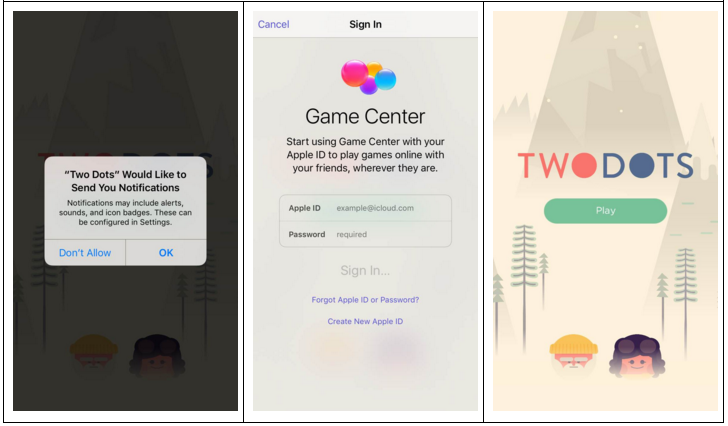 App developers pave the way for higher rates of user opt-ins – and more effective communication with users later on – by focusing on building user trust. 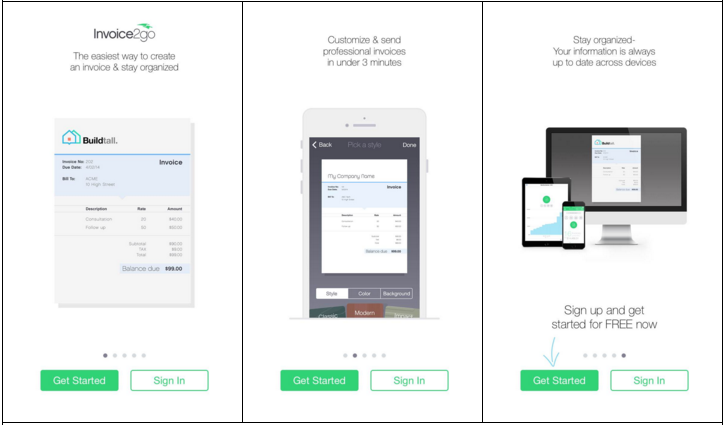 Over the last few years, the norm has been to ask users to create an account, sign in, opt in, and then use the app. I’ve chosen three examples of the trend for not asking users to sign up for an account immediately, or without justification. 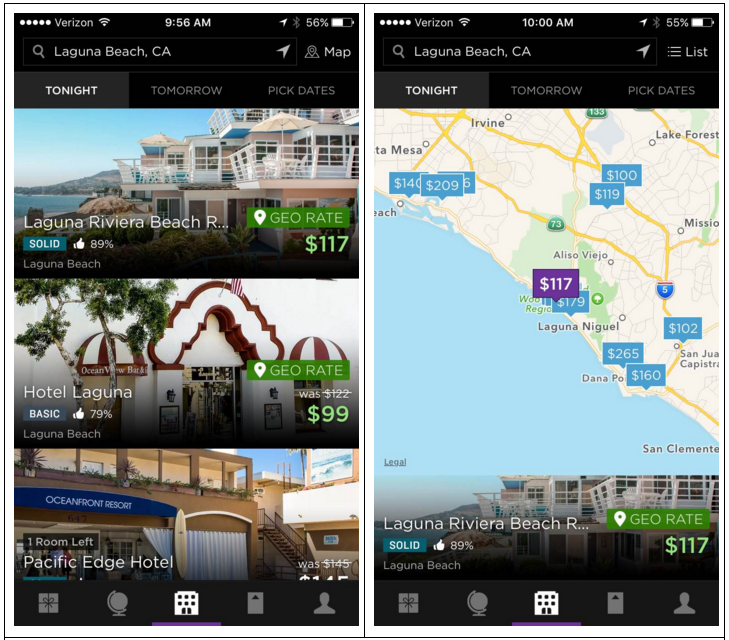 Instead, users are eased into trusting the app. What they do right: They let users create something right away (users don’t want to just fill out forms). invoice2go is a tool for making professional invoices. The compelling thing about the app is how the user creates the thing that justifies the use of the app within a few minutes. 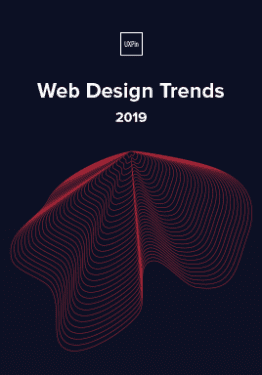 Whether a technology expert or novice, the user is customizing and prototyping an invoice as part of the onboarding experience. UX Result: You haven’t paid for anything yet, but you’re already emotionally invested in using this app because you put on your creative hat, experimented, and built something. It’s the same reason why you’re attached to that Ikea table. Also, they asked you to opt in to notifications, so they will be able to reach out to you. 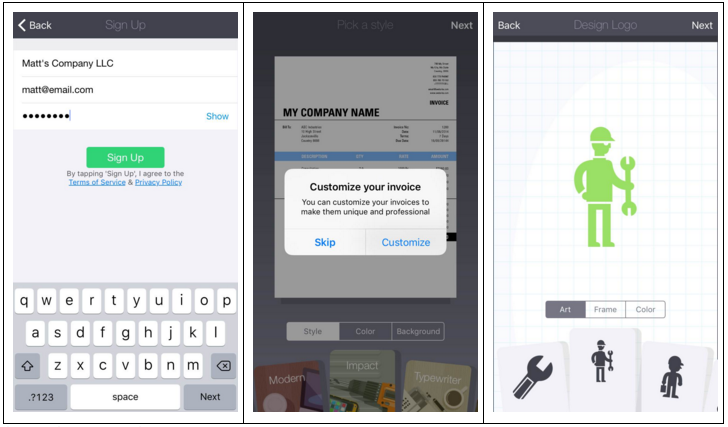 How can your app give users a running start like invoice2go? Can you provide simple tools for them to customize and experiment with the basic functionality? What they do right: They make onboarding genuinely fun. Two Dots is a puzzle game that takes the user through onboarding by making them play the game. They do all the right things in making the user feel comfortable, because the user succeeds and gets congratulated before the first official puzzle. Step 1: Do you want notifications? Do you want to create an account? You can decline both and still play. 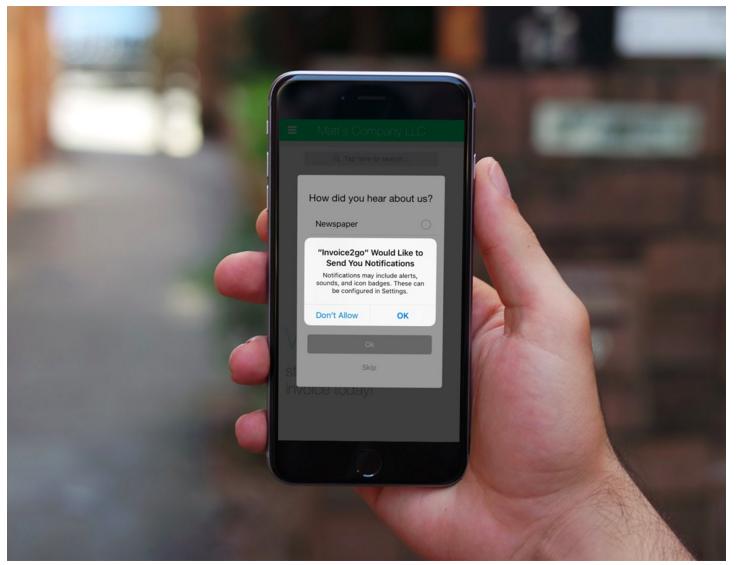 UX Result: The user has a very successful first experience with the app, all because the process of onboarding was made easy and enjoyable. What they do right: They give you a result fast and streamline the account creation process. Hotel Tonight is an app that handles when you have a business trip that just got extended another day, or a sudden road trip to Las Vegas. 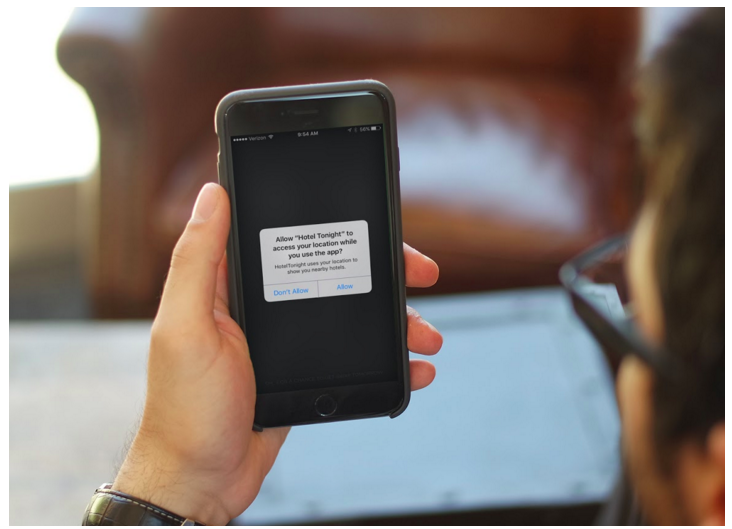 It takes an anxiety-inducing situation and puts the user back in control. But that’s not why I’m showing it here; I’m showing it because you can download the app without even having an account and book a room in two minutes. Step 2: Showing you the area. Step 3: Looking at the details of the hotel. Step 4: Booking the hotel. UX Result: So did you notice that you created an account in Step 4? That was only required after you’d browsed the list and performed an action. 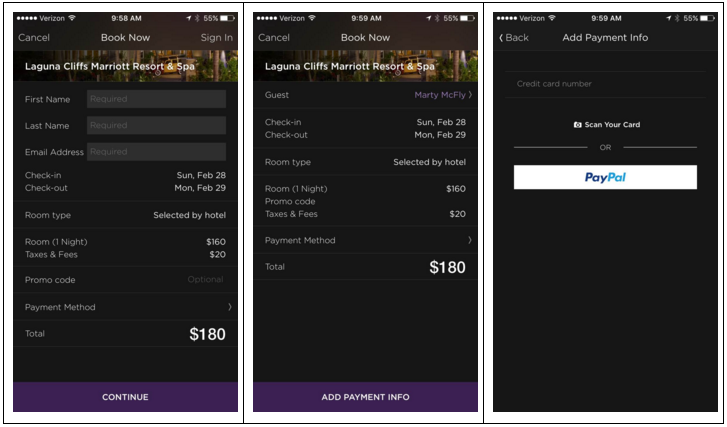 How different would the experience have been if you had to create an account before choosing the hotel, or before downloading the app? The next time you’re designing your mobile onboarding, remember that the goal is to get them to the “aha!” moment as quickly as possible. 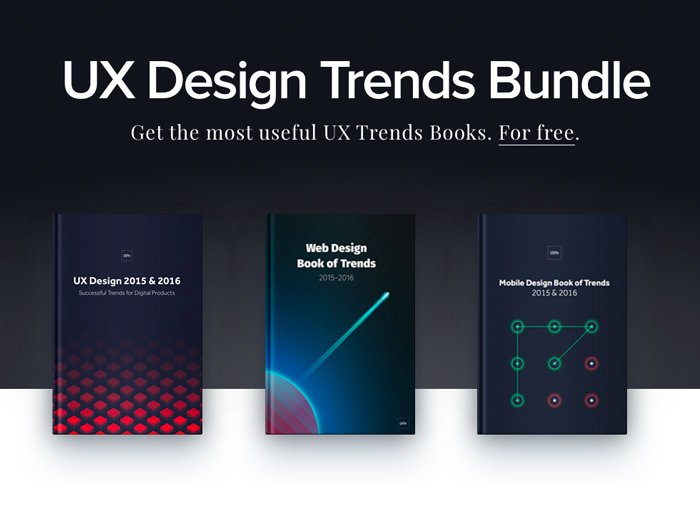 For more example-driven best practices, check out the free 2016 UX Trends Ebook Bundle. 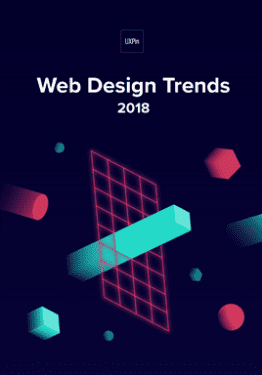 In addition to mobile best practices, the book also explores web design and UX techniques. The single download includes 350+ pages of advice supported by 300 examples.